The sun is shining, the birds are chirping, the flowers are blooming-and your cluttered closets are calling. Time to roll up your sleeves and whip your home into shape. And yes, this means you! It's been a long winter and you've let the clutter grow, all over your garage, across your basement and up into your attic crawl space. And your bedroom closets? We're not even going there. As always, First City is here to help! Use this handy list of creative cleaning hacks to banish those dust bunnies without spending a fortune on organizers and cleaning solutions. Plus, you'll be doing your part to help keep the planet green by skipping over those toxic cleansers this year. Before you get started, create a master list of every part of your home that you plan on attacking. It's best to make this an old-fashioned physical list so you can post it somewhere you'll see often-like the door of your fridge. Once you have every area listed, divide the chores according to the amount of time you estimate it will take to clean them. Make smaller sub-lists of 3-hour jobs, 1-hour jobs and 15-minute jobs. This way, when you have large chunks of time, you can find a larger job to do at a glance. And when you have smaller pockets of time, like those 10 minutes in the kitchen when you're waiting for the water to boil, you can quickly tackle a smaller job, like straightening out the catch-all drawer in your kitchen. Once you've got it all written out, it's time to roll up those sleeves and get to work! Slice a lemon in half, and rub the fruit against hard water stains and rust spots in your kitchen and bathroom. You can also sprinkle on some baking soda for the really stubborn marks. The stains should now lift easily. Plus, instead of chemical fumes that make you gag, you'll leave behind that springy, lemony scent. Is your microwave plastered with hardened food stains? It's time to make your appliance shine! Grab a microwave-safe bowl, fill it with 1-2 cups of water, 2 tablespoons of white vinegar, plus a few drops of your favorite essential oil. Nuke it for five minutes and then wipe those stains right off! Instead of sticking brushes and feather dusters into every little corner and cranny in your home, use a lint roller. Run the roller over your light fixtures, mantels and shelves. It'll pick up all those tiny dust mites and leave you with clean surfaces in just minutes! For corners that are super-dirty, use a strip of duct tape for stronger pickup power. Stop scrubbing those teeny-tiny pieces of Lego and load up your dishwasher instead. You can also throw in your hair brushes, pet dishes, refrigerator shelves, soap dishes, tweezers and drawer knobs. When the cycle is through, it's best to clean your dishwasher by placing a cup of white vinegar on the top shelf and running it through its hottest cycle. When you're deep in the throes of spring cleaning, you're convinced your home will never see clutter again. But all it takes is one art project, a stack of unread mail and one lone toy truck to give your home that cluttered look again. Be proactive and create a place for every bit of clutter that passes through your door. You can pick up perfectly functional organizers and storage bins at the dollar store. Consider investing in a storage ottoman for favorite toys and hanging a shoe organizer in your foyer closet for unsorted mail, keys and gloves. Those adorable organizers are no use if they're slipping and sliding all over your drawers. Fasten strips of Velcro to the bottom of your organizers to keep them in place. Happy cleaning from all of us here at First City! Your Turn: What's your favorite spring cleaning hack? Share it with us in the comments! You've finally finished scrubbing and purging your home from top to bottom in honor of spring. And now, with every surface, closet, and room sparkling clean, you're starting to see all the areas that could use a facelift. Maybe you're hankering after a complete kitchen makeover. You might be dreaming of a fresh coat of paint for your bedrooms. Or maybe your window treatments are in desperate need of an overhaul. Maybe not. Lucky for you, you don't need to spend a fortune this spring to give your house a new look. Read on for our list of home improvement hacks and learn how to upgrade your home on a budget. Instead of dropping a ton of money on replacing your kitchen cabinets, you can give a tired kitchen a fresh new look by replacing just the cabinet fronts. You'll pay a fraction of the price and no one will know it's your old, shabby cabinets hiding behind those beautiful new doors. Granite countertops can be gorgeous, but they're also incredibly pricey. Instead of taking out a second mortgage for beautiful counters, try covering them with pretty, patterned contact paper. You'll find loads of granite lookalikes at home improvement stores and you can learn how to apply your knockoff covers neatly from DIY tutorials on YouTube. You might even fool your friends and family into thinking it's the real thing. But don't worry: We won't tell anyone it's fake! Pretty curtains and drapes add a splash of color and personality to any room. You can make your own inexpensive curtains by picking up some fabric from a sewing supply store. The only issue? You'll need rods to hang up those curtains-and if you need specific measurements and colors, that can get pricey. All you need for this fantastic hack is a pack of self-adhesive mirror tiles. These retail for about $15 per 20-tile pack and you can find them online or at a home improvement store. Use your snazzy tiles to create a mirrored backsplash in your kitchen. Decorate with inexpensive decals to up the glam or just leave it bare. The mirrors will give the illusion of greater space and you won't have to deal with grout and caulking. It's a super-cheap way to make your kitchen sparkle! If your sofa is hopelessly stained and you'd love to update it, but can't spare the cash, try covering it in a slipcover. You can find a leather-look slipcover to match the shape of your sofa for $100 or less. They're not just for protection; the right slipcover will give you an (almost) brand new couch! Make sure you read reviews before purchasing, because quality really makes a difference here. Light fixtures can really make or break an area in your home, and you don't have to spend a fortune to get it right. Walk through your home and take note of the light fixtures that are relics from a past life, paying close attention to highly visible areas. Then, take a trip to a home improvement store or check out sites like Wayfair and Hayneedle for trendy, striking light fixtures. For less than $100, you can give your house an entire new look! If the walls in your home desperately need fresh coats of paint, look no further than your local home improvement store. No, you don't have to be a genuine DIYer to get this right; it's fairly simple. You'll find loads of painting tutorials on YouTube, and you'll only have to spring for the actual paint plus a few supplies. Best of all, when you're in charge, you can get as creative as possible. Using painter's tape and your imagination, you can paint funky designs on your walls, like diamond contrasts, vertical and horizontal stripes, or, if you're feeling really artsy, go for a full-blown mural! These hacks will make your home beautiful this spring for just a bit of money. If you need more major home improvements that require serious cash, though, we can help. Call, click or stop by [credit union] today to ask us about opening a HELOC or taking out a home equity loan. We can make that happen, too! Computer on the brink? Careful who you contact to fix it! That's because the FTC is warning of a surge in tech support scams, many of which can be difficult to spot. Scammers then reached out to the victims, asking for remote access to their computers. Once inside, they were able to scrape sensitive information off the victims' computers. But they didn't stop there; they also used phony evidence to convince many victims that their computers were in desperate need of repair that required pricey software. The scammers gladly accepted payment for this software, which of course they never provided. Many victims lost thousands of dollars to these scammers and had their information compromised as well. In this variation, scammers spoof the numbers of well-known companies and call people randomly, claiming they've found a problem with the victim's computer. They'll ask for remote access to the computer, run a "diagnostic test" and then plant bogus problems in the computer. They'll ask the victim to pay an exorbitant amount of money to get the issue fixed. They may even demand an ongoing subscription payment to prevent the "problem" from returning. Red flag: Legitimate tech-support companies will never initiate contact by phone. If you ever receive a call as described above, don't engage with the caller. Hang up immediately and report the call to the FTC at FTC.gov. You can also let the spoofed company know about the scam (using their actual contact info) so they can do their part in taking down the scammer. Sometimes, a tech-support scammer will try to lure you into their scheme by using an alarming pop-up warning. The pop-up might look like a legitimate error from your system or antivirus software. It may even have a realistic-looking logo from a company or website you know and trust. The message will warn you about a major security issue with your computer and instruct you to call a listed number. Once you make that phone call, you'll be asked to allow the person on the other end of the line to have remote access into your computer. The scam will then proceed similar to the one outlined above. Are you a victim of a tech-support scam? It's not too late to reclaim your money. If you paid via credit or debit card, you may be able to stop the transaction. Contact your Credit Card Company or First City about contesting the charge as soon as possible. If you used a gift card to pay the scammers, it might be more difficult to recoup your losses, but it's still worth a try. Call the company that issued the gift card and explain what happened. Many companies will be happy to assist you if you've been targeted by a scam. Aside from trying to reclaim your lost money, you'll want to strengthen your computer's security. If you've given a scammer remote access to your computer or shared your username and/or passwords, you are now vulnerable to identity theft. If you haven't yet done so, update your computer's security software and run a scan. Delete any files or data your computer legitimately identifies as a security issue. You'll also want to change your usernames and passwords. If you use identical passwords across multiple sites and accounts, be sure to change those, too. Finally, don't forget to report your scam to the FTC as soon as possible. If the scammer spoofed Microsoft, report it to the software giant as well. Always stay alert when online and proceed with caution. Remember: When in doubt, opt out. Your Turn: Have you been targeted by a tech-support scam? Tell us about it in the comments. If money-making is not on your children's minds, you may need to direct them toward that line of thinking. The next time they ask you to buy something that's out of budget, tell them they can earn the money to buy it themselves. As an alternative, suggest that you'll cover half the cost if they earn the other half. Talk to them about finding a summer job, the work they can do on weekends, or suggest a one-time gig they can initiate. 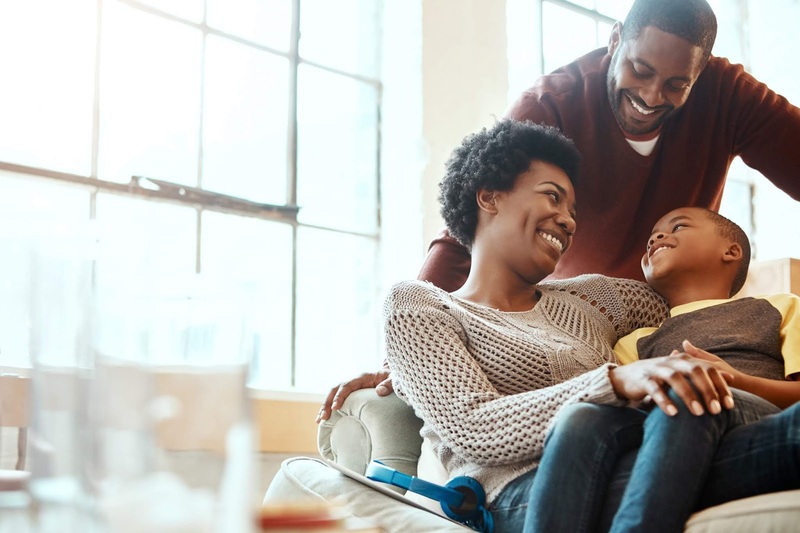 In honor of Youth Savings Month, let's take a look at 9 easy ways your kids can earn some extra cash. It may be old-fashioned, but kids can bring in good money by selling cups of America's favorite hot-weather drink. For optimal exposure, let your kids set up their stands near a local yard sale or another neighborhood event. Don't forget to check local municipality laws to make sure your stand is completely legal. Spring-cleaning season is the perfect time to host a yard sale on your front lawn. Let your kids be in charge by having them choose the items to feature, set the prices and run the sale. You'll want to be available to oversee their work and to make sure the prices are fair, but let them make most decisions on their own. Take off your helicopter-parent helmet and let your kids learn lessons that will stay with them for life. Your child may be too young to babysit on their own, but they can offer their services assisting a neighborhood mom while she's at home. 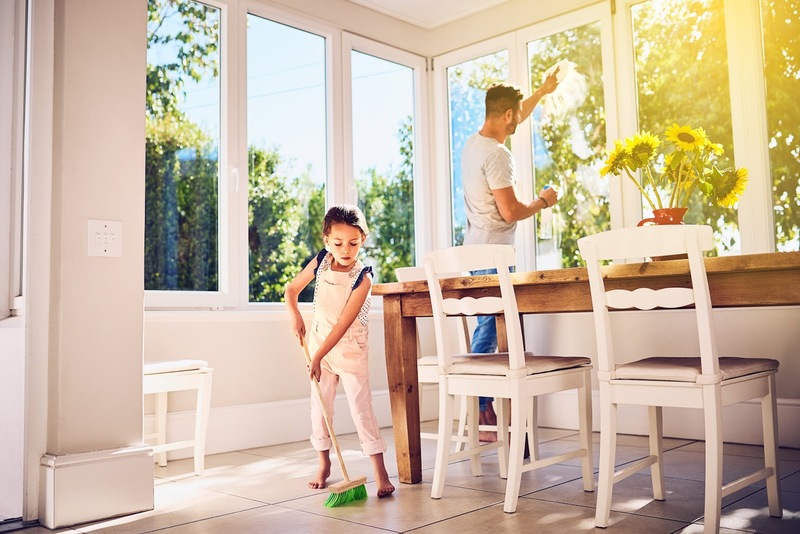 Let your child take the kids out to the yard while mom watches from the deck, play with the kids at home while mom does laundry or help them with their summer homework while mom's busy in the kitchen. Call up a local recycling plant to find out how much they pay for every pound of recyclable materials. Then help your child gather empty bottles, cans, cardboard boxes and old newspapers to bring to the plant. You'll be keeping the planet green and helping your child earn some pocket money at the same time. Let your child try out her car-washing skills on the family car. Once she's got the technique down pat, have her offer the service to the neighborhood. Your neighbors will cross another weekend chore off their list and your child will be learning that hard work can really pay off. Encourage your kids to earn their own money and you'll be teaching them financial responsibility in the best way possible. We are proud to announce the launch of our great new website for you to explore and use to get everything you need from your credit union. It has been streamlined into a cleaner, fresher, contemporary look, with easier to read pages and a design that will fit any device it is convenient for you to view it on. First City is always working on making your member experience better, and we believe this website redesign will do that for you. Your favorite sections, links, and services are all still here, organized to make your visit more efficient. Additionally, the website search function has been vastly improved to make finding the services you need easier. Both the Login section and the Main menu are located on the top right of the home page and will get you anywhere you need to go. Opening a membership or account, applying for a loan or calculating the cost of one, and even locating a branch or ATM is all just one click away. We know that your time with family, work, or leisure is important to you, so we’ve done our best to make your tasks easier to complete on our new site. As always, we thank you for being a member of your credit union, while we improve our ability to serve your needs. If you have a high credit card balance and you're paying just the minimum each month, you can end up carrying this balance for years while paying a lot in interest. You might also be tempted to make more purchases on this card since it already has a balance. If you can't put away at least 5% of your monthly income into savings, you're living beyond your means. Scale back your mortgage payments. Consider a refinance. Speak to our Mortgage Loan Officer here at First City to see if this is right for you. If your mortgage is crippling your budget, consider downsizing to a smaller and cheaper place. Can you afford to pay for or finance your car? If the answer is no, you're in financial trouble. Thanks to the hyper-sharing culture of social media, the pressure to keep up with the Joneses is stronger than ever. If you find yourself making financial decisions based on your friends' choices, you're likely spending more than you can afford. If you're in over your head, First City Credit Union can help! Stop by today and our Branch Service Representatives will be happy to guide you out of any financial mess. Or give us a call and our Loan Officers can assist you over the phone. Your Turn: What's your personal red flag that your spending has gotten out of control? Share it with us in the comments. 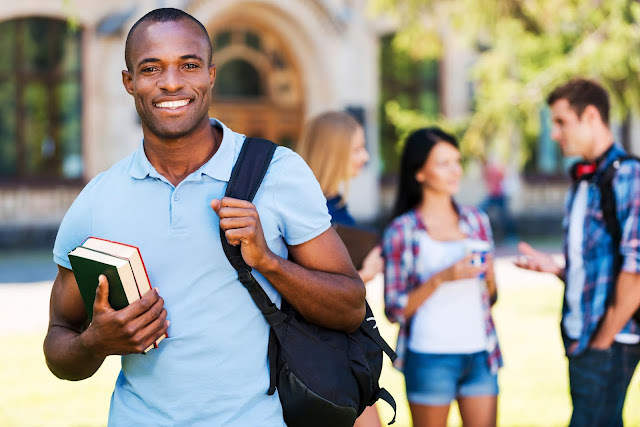 Let First City walk you through the process to help you build a strong credit score and credit history that will serve you well throughout your life. The way people typically build a credit history is by opening a credit card. But ironically, many credit cards won't accept your application because you don't yet have that credit history! You'll need to build your credit history from the ground up, starting with cards that offer a very low limit or a secured credit card, such as our Secured Visa Platinum. Our Secured Visa Platinum credit card is funded by a specific designated dollar amount in your shared savings account, which would also be your credit limit for the card. Once you feel you've established enough credit history, you can always apply for a regular unsecured credit card. You can always stop by any of our branch locations and ask about our credit cards or visit our website. No annual fees. You shouldn't have to pay money to use your card. Sometime in the future, you may want to open up a high-perk card with an annual fee to match, but for now, just concentrate on building your credit score. A low interest rate. For your first credit card, you likely won't be offered a really low interest rate, but that doesn't mean you should be taken for a ride. Shop around for a card offering a reasonable rate, maybe only slightly higher than the average rate.